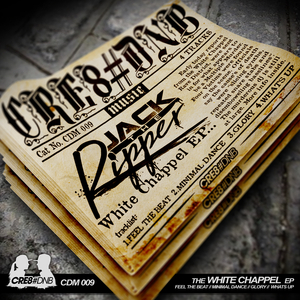 Murderation station: Jack The Ripper steps over to the perennially on-it Cre8 with four solid slap-downs. "Feel The Beat" stretches and flexes with a nice amount of elasticity in the groove and some crafty use of a heritage rave sample while "Minimal Dance" provides a stark playground for some of the most disarming bass textures JTR has ever conjured. Deeper into the EP we hurtle for the grunting funk of "Glory" and the creepy twisted chimes and toxic bass of "What's Up". Deadly.